Time moves quickly, in business and in life. It is amazing to note that PolyPay has been in operation for almost six years. We continue to expand our knowledge base in the merchant processing industry. We are providing new, exciting and advanced offerings to new and current customers. Our capabilities have grown and our increasingly diverse vertical of industries and business that we support reflects that. We are a recognized provider of merchant processing services, both here in San Luis Obispo and beyond. What I enjoy most is that the recognition of our name is accompanied with a smile. Customers are quick to share a story of support: questions that were swiftly answered either over the phone or in person. There is surprise in the eyes when they recount that we showed up at 7 AM, or 9 PM if a question or concern had arisen. There is the understanding that reflects that when they are open, we are open. Business does not stop when the sun goes down. Be available for questions and support as much as one can. Educate the customer when it is most important and know when to step away and let the customer come to you when they have questions. What is enjoyable to watch is not only the growth of our name recognition as a provider in this industry, but those who are comfortable to partner with us in referring business. That is one of the greatest gifts one can attain: trust. Having someone willing to put a name, reputation and business on the line to refer business our way is priceless. Each time we sign on another customer through a referral and there is a chance to see a smiling face when we mention PolyPay, I know we are successful in continuing to provide honesty, transparency, support and savings at every possible opportunity. Thank you for allowing us to continue to be the comprehensive processing solution that you can still trust today and into the future. The success of a company and its reputation is based on the people it is comprised of. Please visit our section here to learn more about some of the people that are a part of the fabric of PolyPay. Jamie grew up in Bloomfield Hills, Michigan and Saint Louis, Missouri. She attended Wellesley College in Wellesley, Massachusetts where she graduated with a Bachelors degree in English and a minor in Economics. Graduating just before the Tech Bubble of 2000, she worked as a Marketing Specialist for enhansiv, a virtual CRM company in Irvine, California. After a year and a half with the company and the uncertainty in the technology markets, Jamie continued to work in smaller management roles while she earned her MBA with an emphasis on International Business at Pepperdine University: one of the first programs in the nation with an ethics-based MBA Program. Jamie joined Accenture Consulting and worked within its technical verticals, participating in projects for Kaiser Permanente, Southwestern Bell, Hitachi, Pacific Gas and Electric, AT&T and Cisco. Her roles there afforded her the opportunity to grow her skill sets in corporate education, sales, human resources, compliance, leadership development and data center migration. As often occurs in the consulting industry, Jamie was asked to join one of her Accenture clients, Pacific Gas and Electric, as one of its full-time employees. During her tenure there, she worked for the Chief of Staff and the SVP of Human Resources on a variety of initiatives, including project management, workforce benefits, union communication and launch of the first Career Development Program for 190 High Potential employees including management of the company-wide Mentoring Program. After these exposures, Jamie decided it was time to launch her own business. Because she grew up in a banking and finance family, she decided to build her own merchant processing company that focuses on high quality customer care and support, transparency, savings and fostering a stellar company reputation. PolyPay is the most exciting chapter of her business life and she is fortunate to be able to have founded the company in beautiful San Luis Obispo, California. 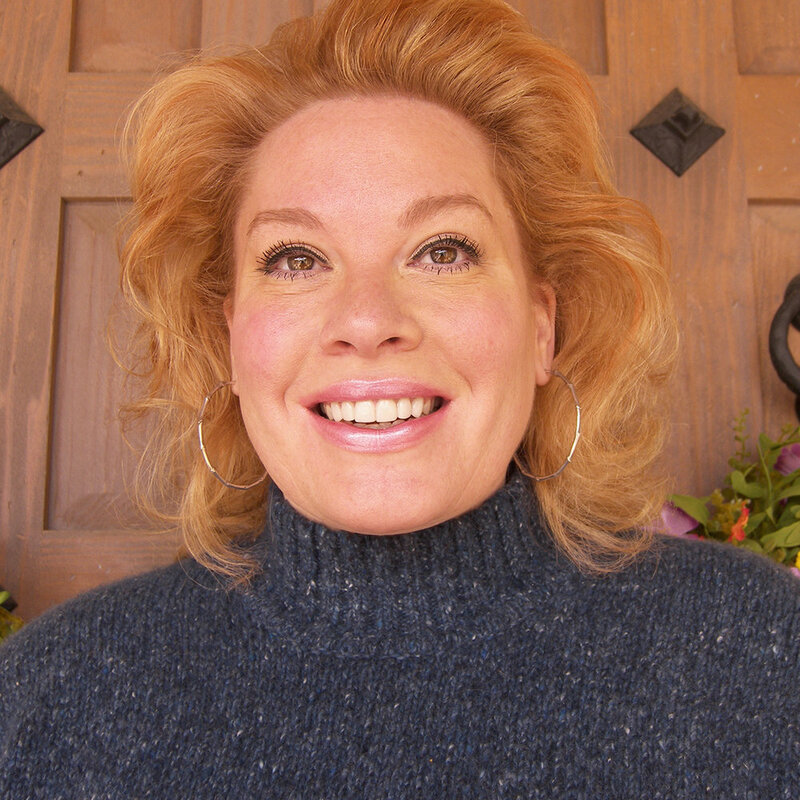 Jamie enjoys living on a ranch in Arroyo Grande, where she enjoys her fifteen-minute commute, having her mother as her best friend, two rescued Silky Terriers named Spike and Charlie and inundating her friends and family with unsolicited information on the music, stories, movies and lore of Scotland. If one had told Ryan that he would be working in the processing industry when he was 16, he would have said that was impossible. Ten years later, Ryan is the Director of Solutions at PolyPay. 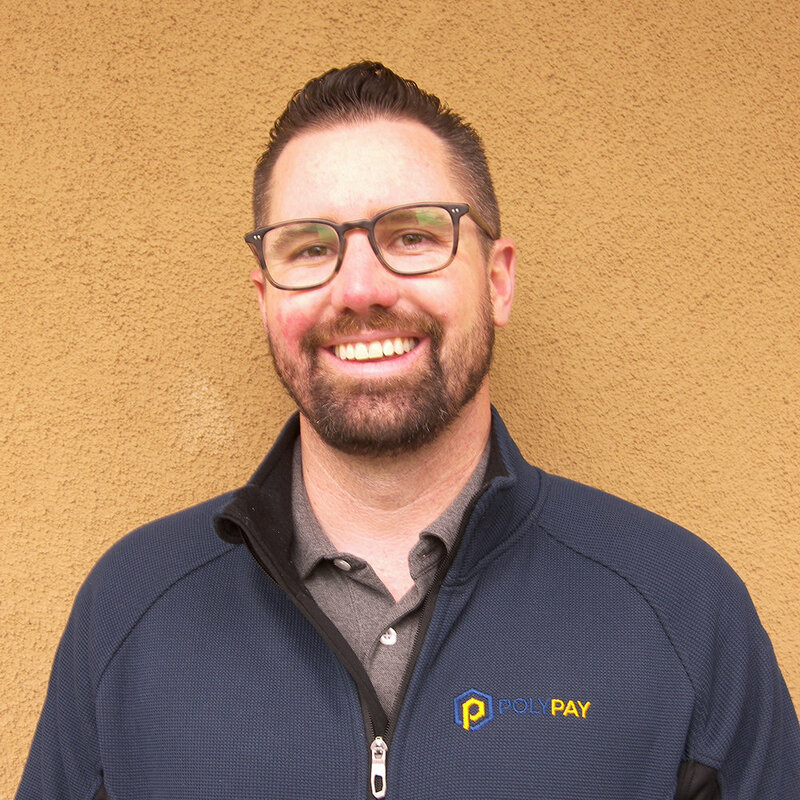 Since joining the company in 2015, Ryan has developed a wealth of knowledge in this processing industry through his hands-on work with PolyPay’s customers, sales team and partners. This has led him to become one of PolyPay’s go-to sources when it comes to resolving support issues or addressing his team’s questions. Ryan grew up in Huntington Beach, California where he developed his skills for customer service while working at his father’s plant nursery as a teenager. He then moved to San Luis Obispo, California, where he attended California Polytechnic State University, San Luis Obispo and graduated with a Bachelor of Science in Business Marketing and a minor in Music. Upon graduation, Ryan obtained a job locally as the Operations Director for Beach Butlerz, a local beach event company, where he managed a team of “butlers” setting up parties, weddings, bonfires and other events at beaches and various venues around California’s Central Coast. After deciding that event management was not what Ryan wished to do long term, he joined PolyPay. It became a perfect fit for his skill set. At PolyPay, Ryan takes pride in knowing that his customers continue to process credit cards with minimal issues. Of the countless occasions that Ryan has been out in the field or on the phone to address a terminal issue or help complete a PCI questionnaire, he does not think there is a better feeling than knowing his customers are happy and satisfied with the service and support they receive. Ryan currently lives in San Luis Obispo and enjoys his free time by playing soccer, attending concerts and food and drink festivals, playing guitar and spending time with friends and family. Ross Sprague joined PolyPay in February of 2017. Ross brings a background of accounting, finance, management and national sales experience to his role as Vice President of Sales for PolyPay. Ross grew up in Coalinga, a small town in the Central Valley of California where he was taught to be a man of his word and that a handshake still means something. Ross attended California State University Fresno where he graduated with a Bachelor of Science in Accountancy. During his years at Fresno State, Ross was a walk-on for the Bulldogs Football team playing as a Safety and threw the Javelin for the Bulldogs Track and Field team. Upon graduation from college, Ross began his professional career working as a Registered Investment Advisor in Fresno in January of 2008. Ross then moved to San Luis Obispo in 2009 where he helped manage Firestone Grill for 4 years. In 2013, Ross joined Gibson Enterprises, a national manufacturer of consumer goods, where he worked his way up from an Account Executive to Vice President of National Sales, selling to some of the largest retailers in the world. At PolyPay, Ross enjoys taking what is often a “pain point” of their business and making merchant processing something that business owners can understand and feel comfortable with going forward. In an industry rife with a lack of transparency, confusion can lead merchants to become discouraged and taken advantage of; it does not have to be that way and it is not with Ross and PolyPay. Ross currently lives in San Luis Obispo with his wife Chelsea. Ross enjoys his free time with lots of backyard BBQs, riding his road bike around San Luis Obispo County and hiking the local hills with their dog Lucy.